The story of Helen Johnstone, the disappointed fiancée of Henry Vick, begins at the plantation house, Annandale, in Madison County, Mississippi. Helen was only ten when her father, John Johnstone died. The child’s strong-willed mother, Margaret had built the Italian Renaissance-style mansion to replace John’s log cabin. 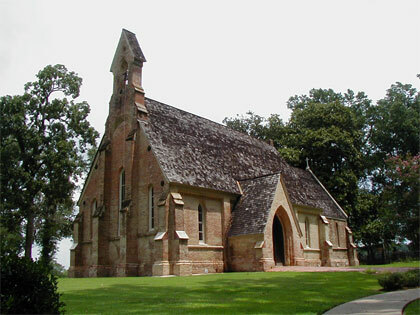 The home was completed in 1855, just three years after completion of the nearby Chapel of the Cross. It was Christmas of 1855 when an attractive stranger appeared at Annandale to request help. Henry Grey Vick, a gentleman of Nitta Yuma, descendant of the founder of Vicksburg, the Reverend Newitt Vick, and son to Colonel Henry William Vick—King Cotton—needed a broken wheel on his carriage repaired. Henry dined with the Johnstone ladies that evening, and before leaving the next morning, he and Helen were in love. Henry returned often, and in 1857, the two were promised to be married. Margaret insisted that the young couple wait until Helen was twenty. Her motives are unclear, but Henry and Helen did wait. The wedding would be scheduled for May 21, 1859. During the period of their engagement, Helen demanded one other promise from the more worldly Henry. Seeking to protect her future husband, she wanted to be assured that he would never duel again as he had in the past. Dueling, though not legal, still occurred, and Helen was distressed that her Henry might again someday take this means of upholding his manly honor—a very serious business. Jan Warner relates: “Reasoning, begging, arguing, talking, pleading—what tactic by what name—somehow Helen exacted from Henry a promise. Not that he would not duel. But that he would not kill.” A semantic distinction would lead to a bitter tragedy. The Chapel of the Cross was made ready for the wedding, and Henry was sent to New Orleans, by steamboat, to deal with caterers. He would then return to his bride and enjoy all the wedding festivities. While in New Orleans, Henry stayed at the Saint Charles Hotel where he ran into an old acquaintance, a James Stith. They had hunted, fished, and had gone to military school together. But in New Orleans, they shared an argument, the origins of which are questionable. Legend suggests a possible land dispute between them. Another version relates that Stith felt slighted by one of Vick’s slaves, and was angry when Vick did not see to that slave’s punishment. Either way, Henry forgot himself and challenged James with a slap. The duel was set to take place at Bascomb Course in Mobile, Alabama, for May 17, 1859. Kentucky long rifles were the chosen weapon. Henry composed his will, leaving property to both Helen and his family. Henry wanted both to save his honor and to keep his promise to Helen. So, during the duel, when the two men were to face each other and await a count of three, Henry deliberately fired his rifle harmlessly into the sky on the count of “one.” James Stith could see that he was in no danger. Henry expected that James would discharge his weapon into the air as well. Instead, James aimed his weapon at Henry’s head and shot. Margaret and Helen received a telegram delivering the terrible news of the duel, and informing her that Henry’s body was on a steamer to Vicksburg. Henry had died at age twenty-five. Helen was hardened with grief over her lost love, and guilty over the promise that had prevented Henry from defending himself. 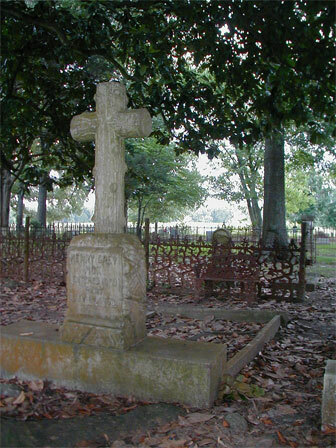 At the Chapel of the Cross, which had so recently been prepared for Henry’s and Helen’s wedding, the body of Henry Vick was laid to rest in a grave too wide for his box alone. It is said that Helen wore her wedding dress to the funeral. Henry’s father died almost a year later, having never come to terms with the loss of his eldest son.